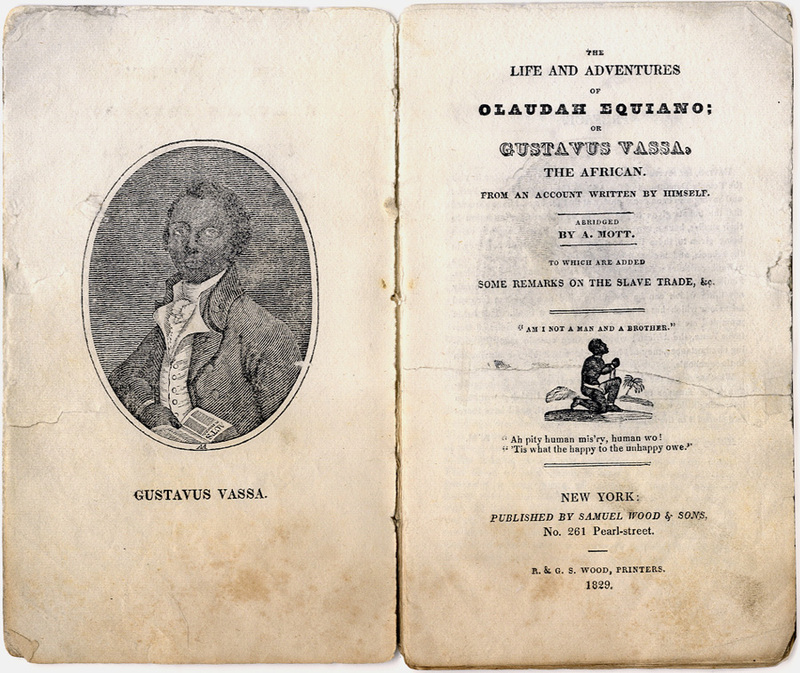 The Life and Adventures of Olaudah Equaino; or Gustavus Vassa, The African. Home > Catalog > The Gallery > The Life and Adventures of Olaudah Equaino; or Gustavus Vassa, The African. New York: Samuel Wood & Sons, 1829. 16mo, 36 pp, in original pasteboard covers. Frontisepiece engraving of the author; illustrated with several woodcuts. 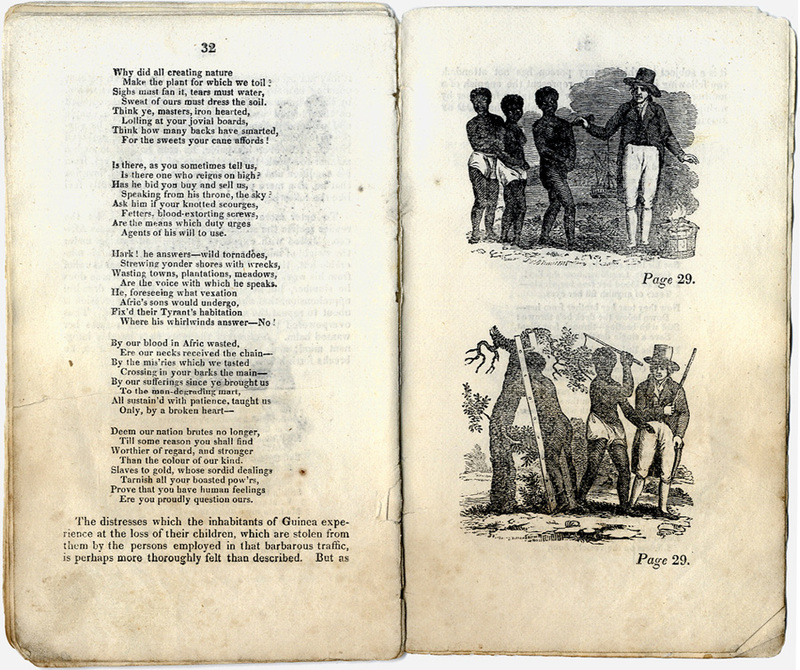 An abridged version published by abolitionists in America, for use in the African Free Schools in New York (schools for instruction of the children of free blacks). String binding is loose; missing page 25/26. Covers show heavy wear and some chipping of pasteboard. Light foxing of inner pages, but overall clean. 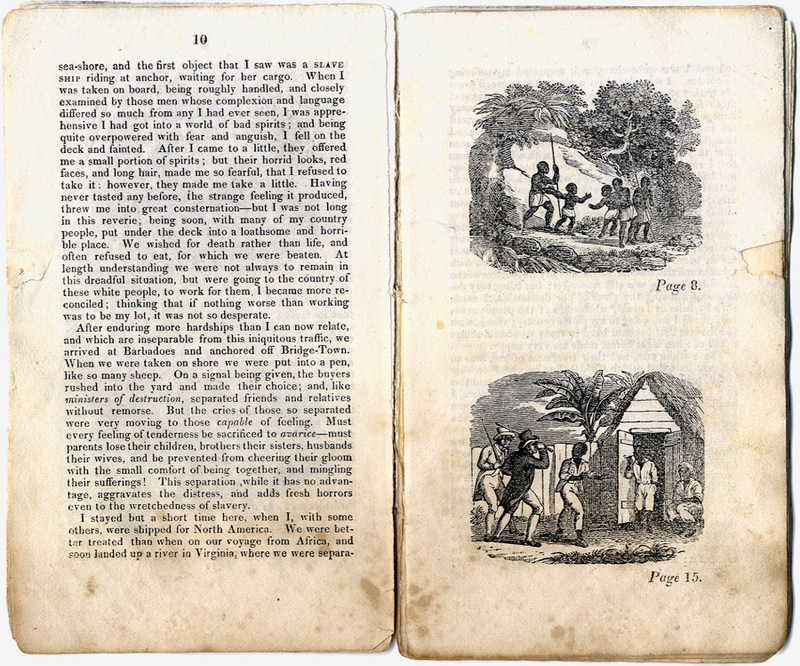 Equaino's autobiography, first published in England in 1790, was the model for the slave narrative genera. 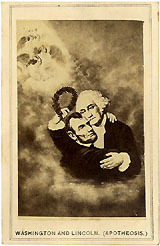 This abridgment for children actually predates the first American edition (1837) and must be exceedingly rare, as we have found no auction records. 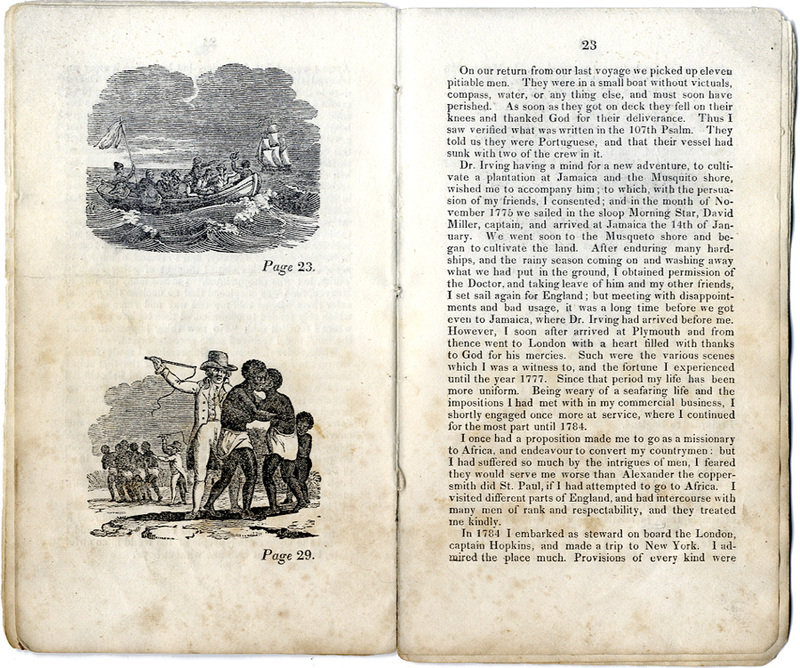 The first edition typically sells for $5000-7000, and a copy of the first American edition sold for $1250 in Swann's 2016 Printed & Manuscript African Americana auction. 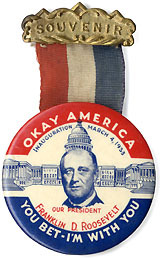 An important early American abolitionist imprint, likely one of only a few copies extant.